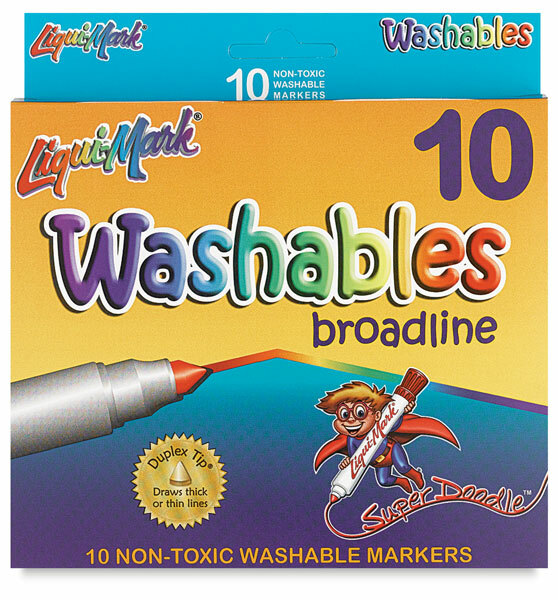 A rainbow of colors, in washable ink that removes easily. 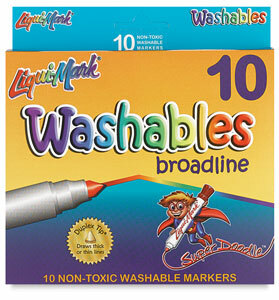 Dried markers can be rejuvinated by dipping the tips in water. The caps are ventilated for child safety. This set includes one marker in each of the colors Black, Blue, Red, Green, Brown, Yellow, Purple, Orange, Light Blue, and Light Pink.